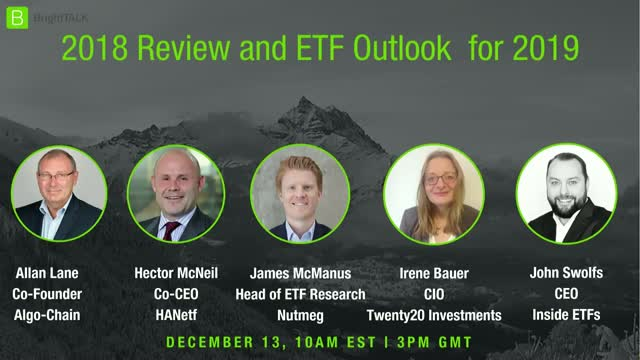 In a year that has seen the $5tr Global ETF industry go from strength to strength, hear the opinion from thought leaders and industry insiders as to what drove that success. You'll learn which new investment themes were launched in 2018, which ETFs gathered the most assets and returns and where the ETF market is heading in 2019. With so many products to choose from hear the views of our panel as to what the industry trends will be in the year ahead. Via our panel of investment professionals you will learn about the different ways that these diversified investment funds can be deployed in both bullish and bearish markets.